Perennial plants are the key to every successful landscape and garden border. 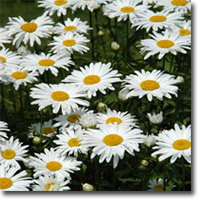 They are available in a wide range of sizes, colors and blooming seasons. Perennials grow and bloom over the spring and summer and then die back every autumn and winter, then return in the spring, bigger and better with every passing season. Typically, they grow from their root stock rather than seeding themselves as an annual plant does. These are known as herbaceous perennials. However, depending on the rigors of local climate, a plant that is a perennial in its native habitat, or in a milder garden, may be treated by a gardener as an annual and planted out every year, from seed, from cuttings or from divisions.